How-To Tuesday is a series that incorporates both brand new and newly edited posts from the archives. Enjoy! 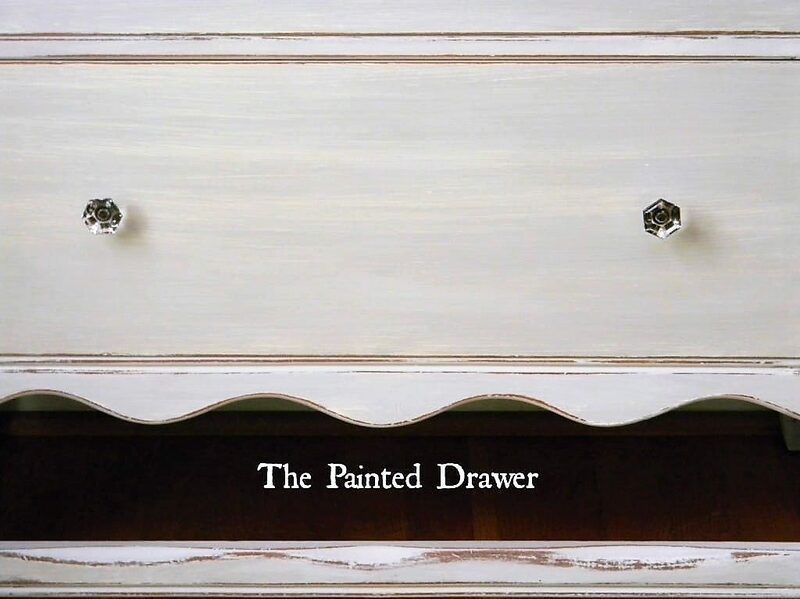 I worked on Lauren’s dresser back in 2013. 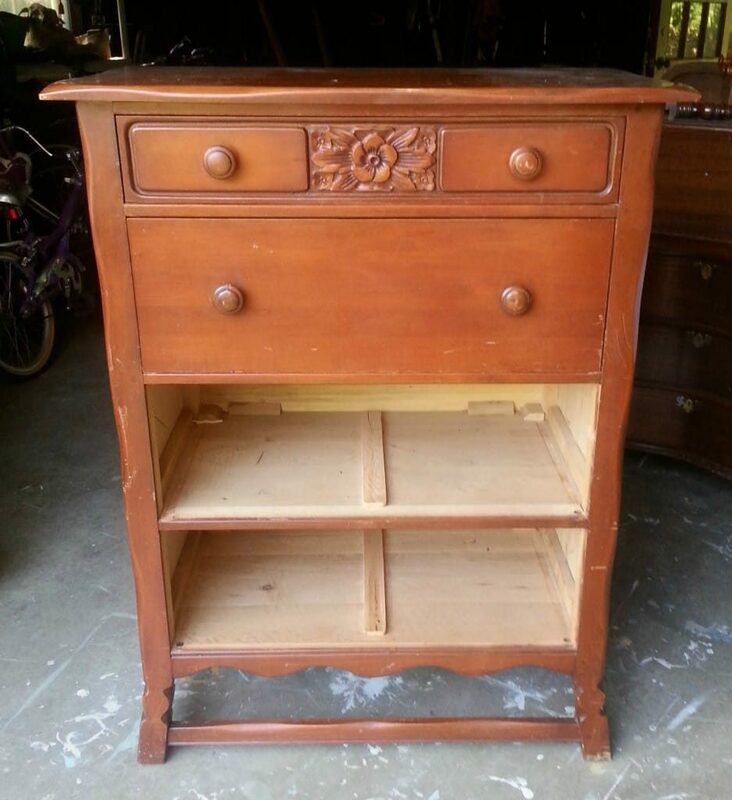 It was an old family piece that my friend, Jen had in her home and wanted redone for her young daughter’s room. Just for fun, here is the before of the piece. It was very orange! I used Paris Grey on it and added interest by using a wet distress/strie technique that creates a beautiful finish. 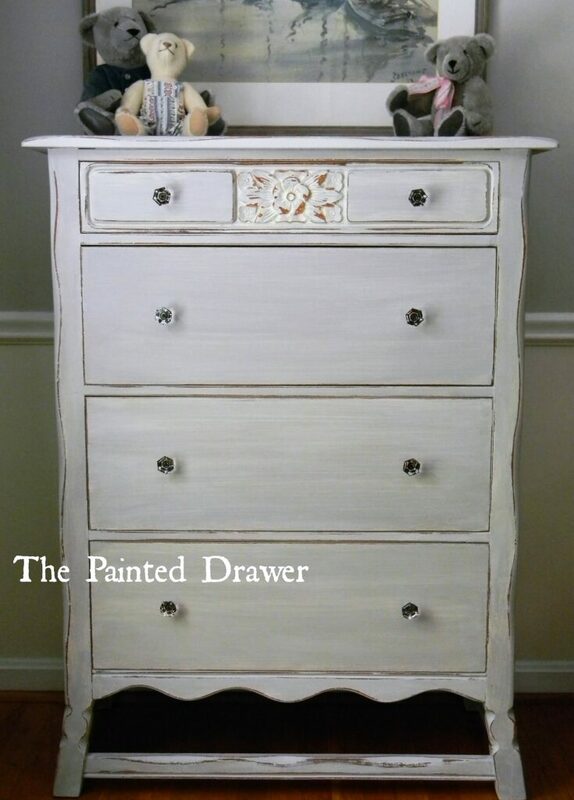 Take your piece and apply a base coat of chalk paint in your choice of color. 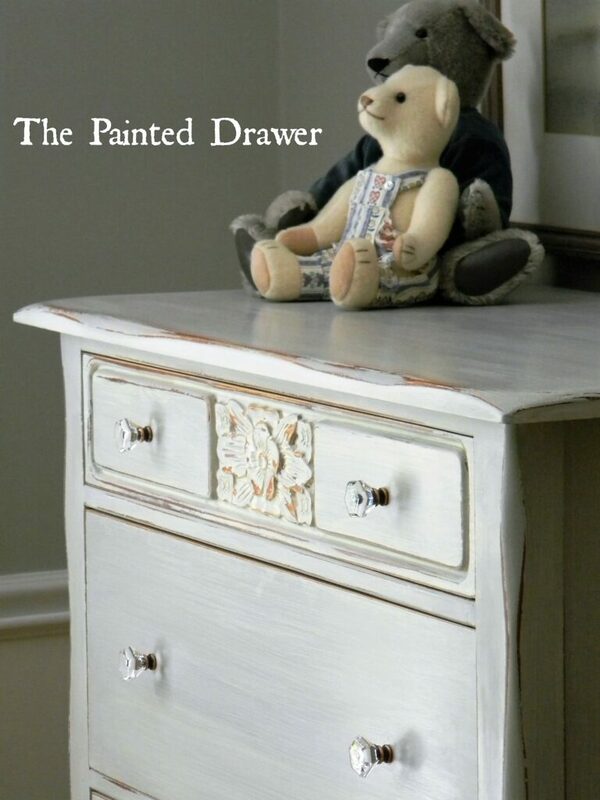 I always use Annie Sloan Chalk Paint and on Lauren’s dresser I used Paris Grey. 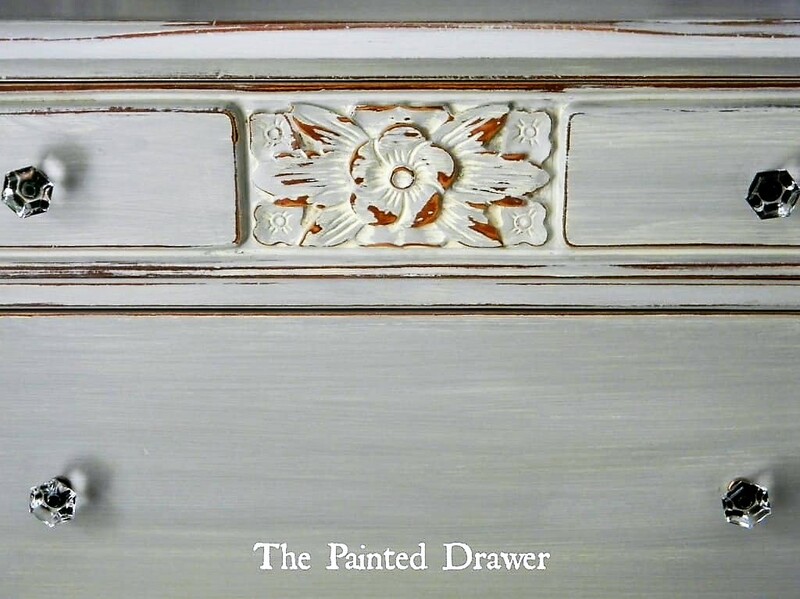 After the first coat has dried, apply another coat of the same color paint. Before this coat dries completely (I wait about 5 minutes) take either a wet wipe or damp paper towel and lightly swipe it over the paint. Continue this until you achieve the amount of distressing and striations you desire. If you want the edges to be heavily distressed to show the wood or highlight detail, apply more pressure with the wet wipe and both coats of paint will be distressed off to show the wood underneath. It creates a really pretty, soft effect. It also does away with the dust of typical sanding which is a plus. After the paint has dried, wax to seal. I used Annie Sloan clear wax on this piece. If you would like a video tutorial on this process, let me know! 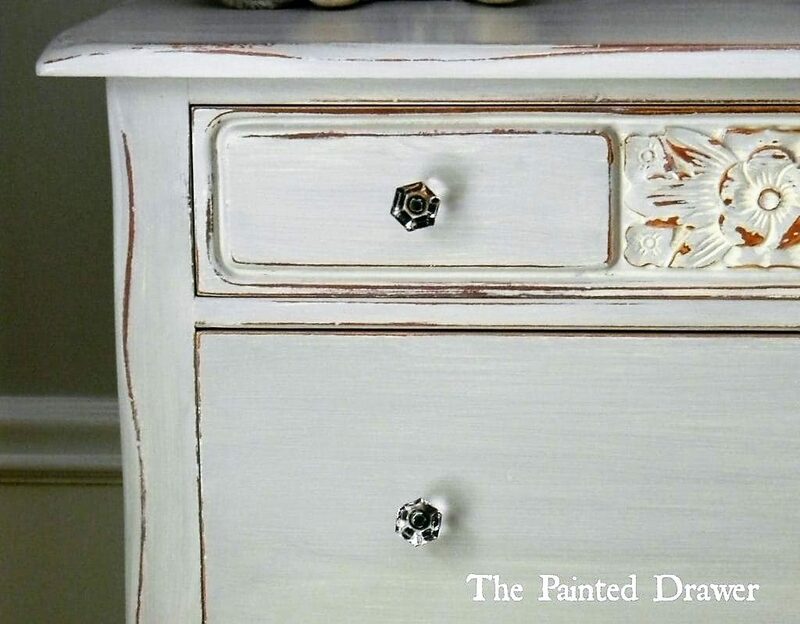 Do you usually sand the piece between coats of paint? Thank you!! Love your work. Hi Jeannie, No I don’t sand in between. One good sand at the end with 220 or higher always does the trick (prior to waxing). Cheers! 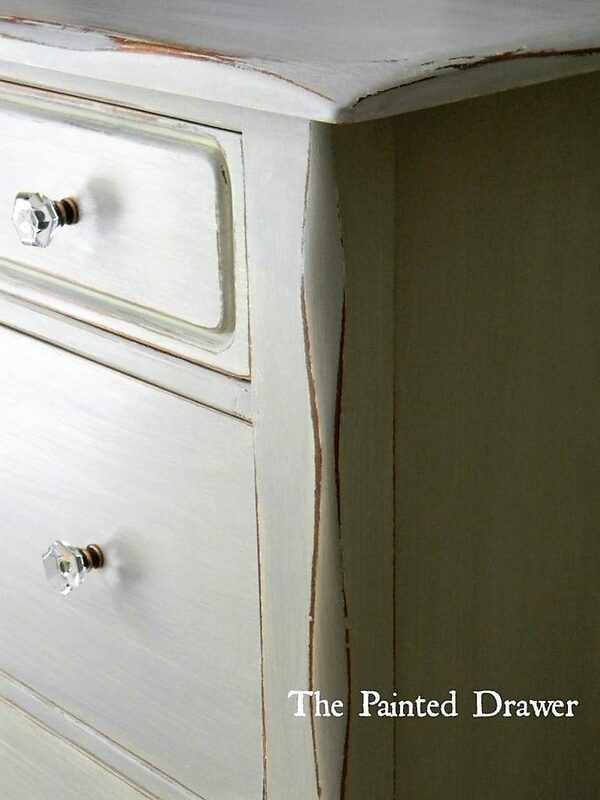 Would love a video of wet distressing! 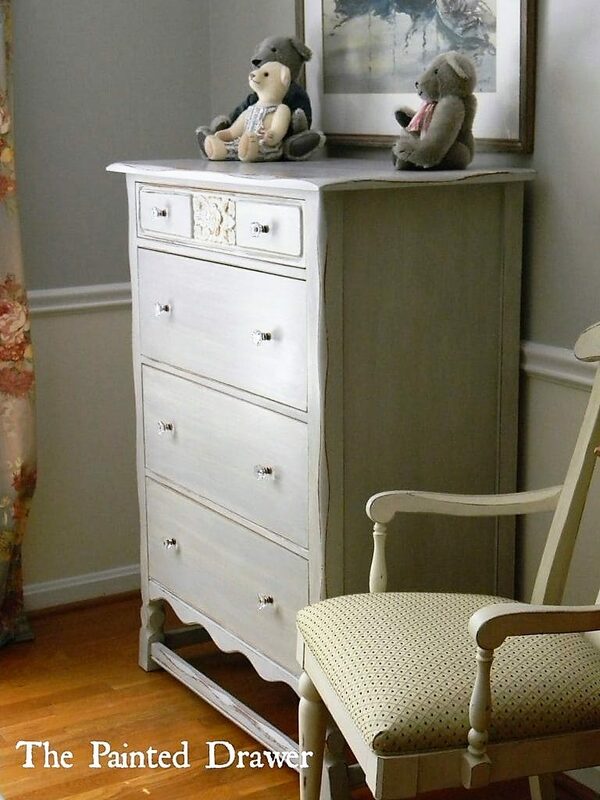 i love this look and the dresser, so sweet, your work is beautiful.